The news that one of the skulls found at the site of the Schwatka reburial at Erebus Bay on King William Island, having been subjected to facial reconstruction, is said by some to resemble James Reid, the Ice Master of Sir John Franklin's ship HMS "Erebus," has reverberated around the world, and rightly so. What hasn't been as widely reported is that this skull, catalogued as "cranium #80," was actually not in among the reburied remains; instead, it was found on the surface of the stony ground, right where it had first been spotted by Barry Ranford back in 1993. 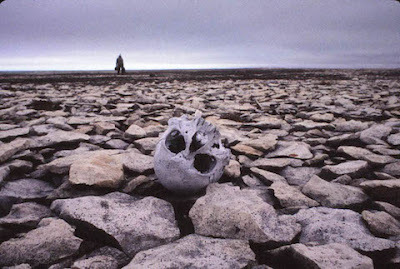 It's the same skull that he showed to the CBC's Carol Off when she was there for a short television documentary in 1994. 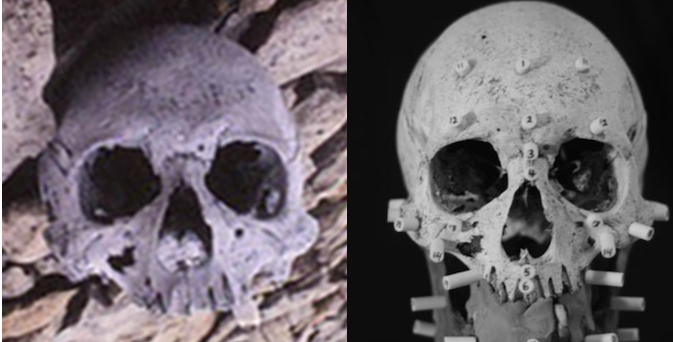 As one can see, this skull -- when rotated to an upright position as I've done in the first image above, is an exact match for Keenleyside, Stenton, and Park's "cranium #80," the same now thought to be Reid's. The indentations associated with the missing teeth are identical, and so is the shape of the distinctive injury to the right maxilla. You can even see the small circular dot or indentation just above where the nasal bones meet the frontal bone. A third cranium, catalogued as #79, was not studied as part of the facial reconstructions, as it was incomplete; according to the report, it consisted only of "the left and right parietal and temporal bones, the frontal and occipital bones, and a partial sphenoid." 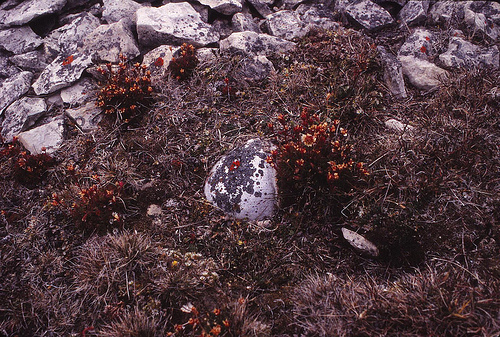 In 1997, the two crania on the surface, along with a nearby femur, were placed in a metal box for protection and cached on the site in a new cairn, by Ranford's friend John Harrington. Ranford himself had committed suicide the previous autumn, but Harrington was to return on at least six more occasions, continuing the search for Franklin remains that his late colleague had begun. Back in 1993, when Ranford first came upon the "Reid" skull, he was nearing the end of a long trek down the western coast of King William Island. His travelling companion had become so sick that he'd had to haul him along in the wheeled garden cart they'd brought for supplies, and time was growing short. At first, he'd thought it was a plastic bleach bottle, it was so white, but on coming closer he realized his error. It was to be a fateful discovery. It might turn out to be James Reid's skull, but the reconstruction looks nothing like him. If only time and money were not a concern, extensive DNA testing on all remains might provide positive identification for all these brave souls.